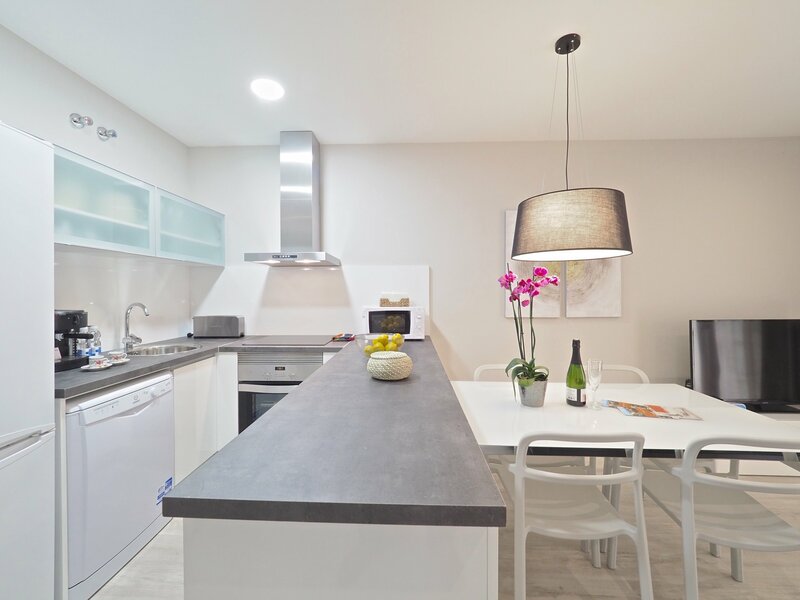 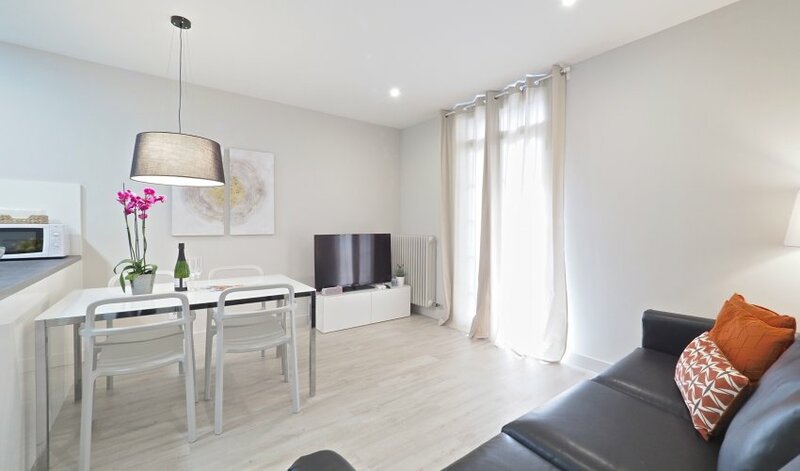 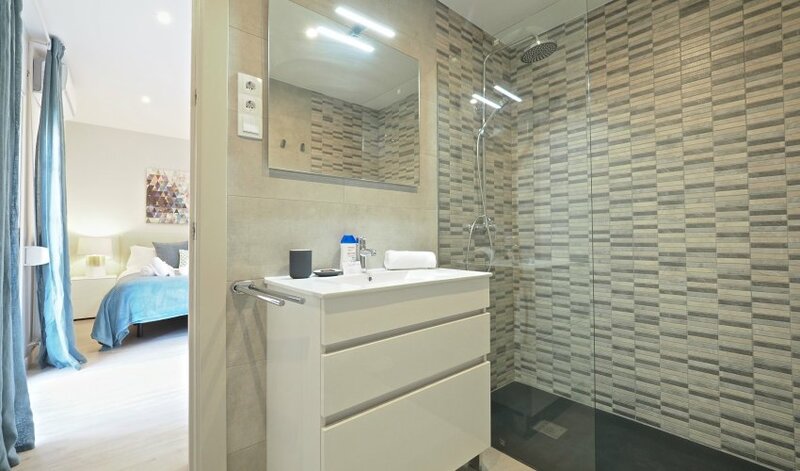 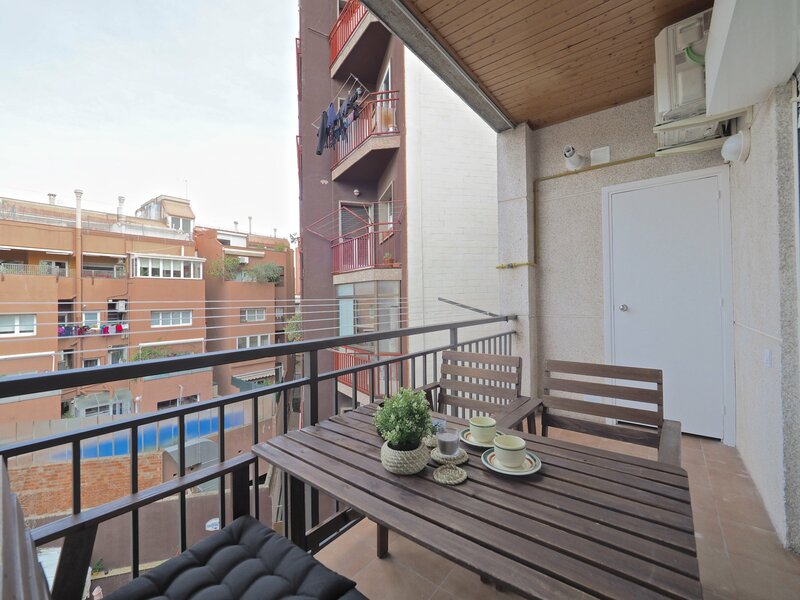 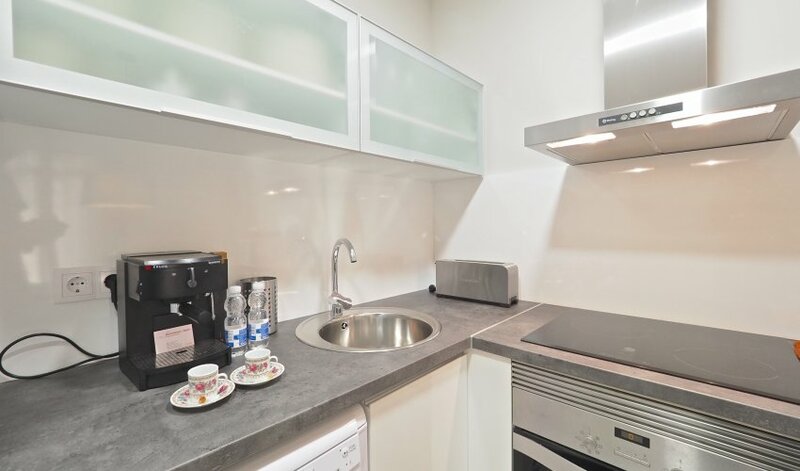 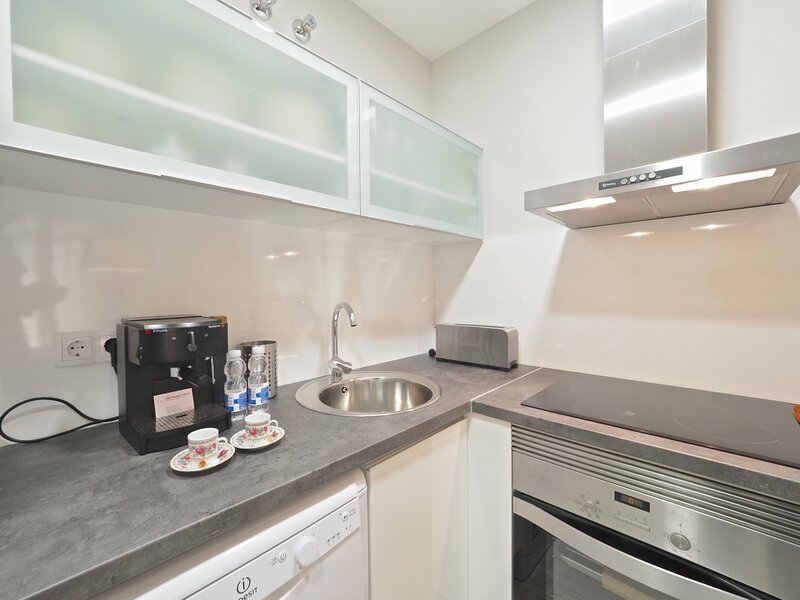 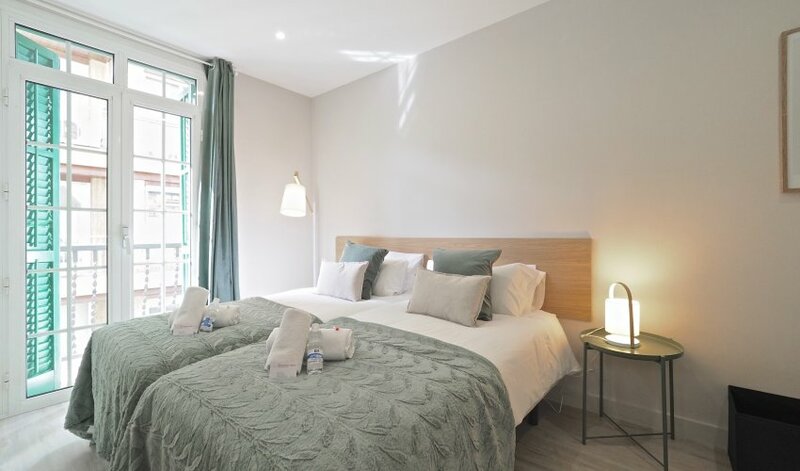 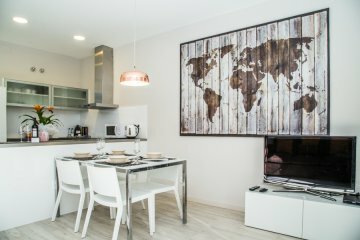 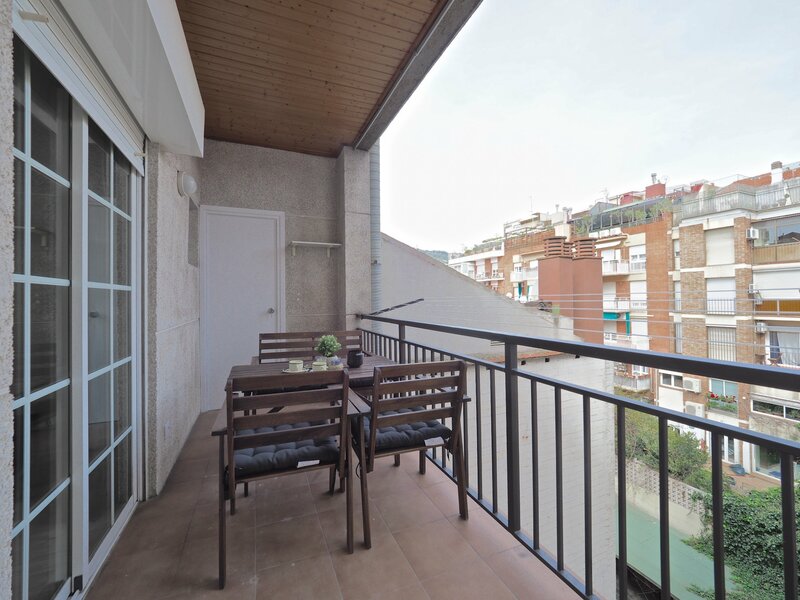 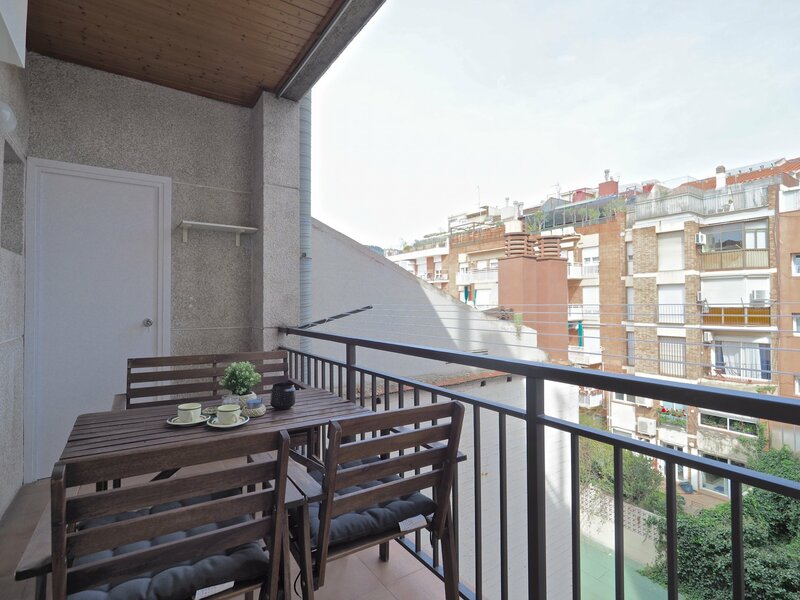 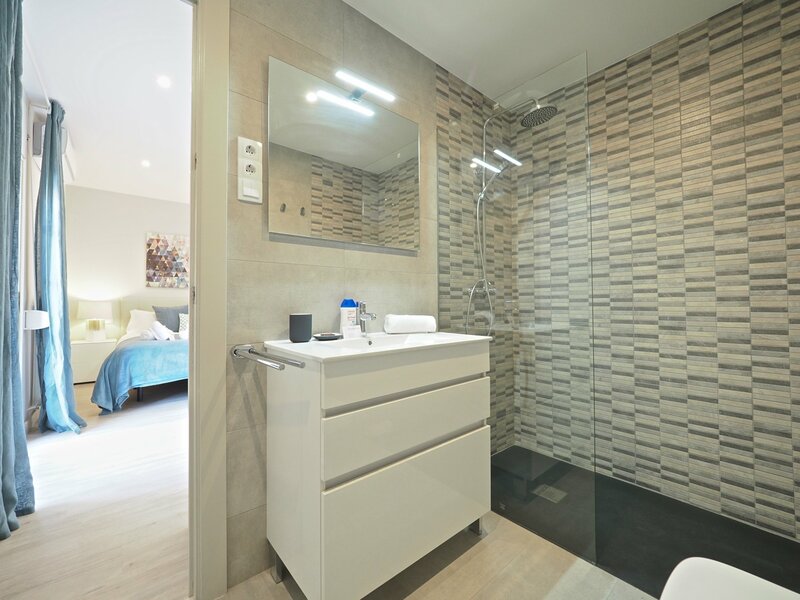 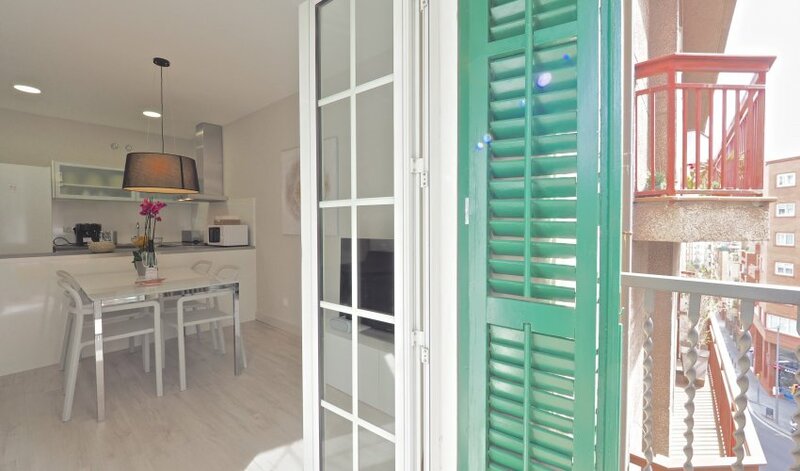 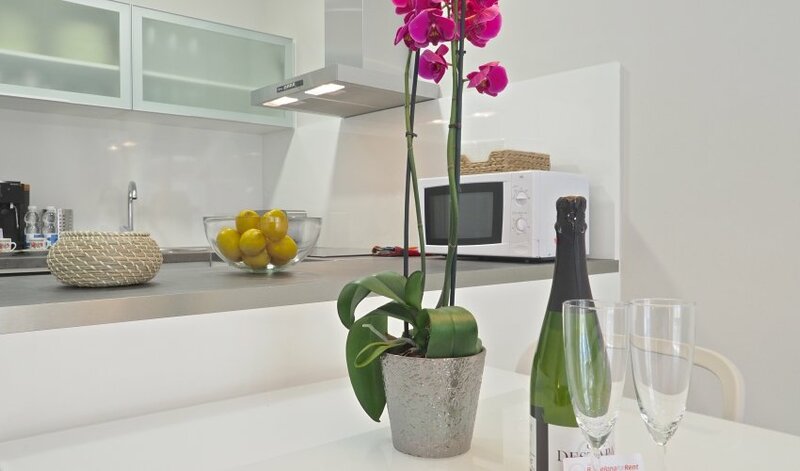 The Urban Town Suites IV is a tourist apartment for rent in Barcelona in Sant-Gervasi with wireless Internet access, elevator and air conditioning. 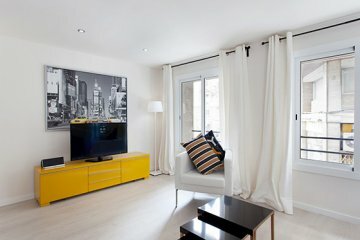 It is a tourist apartment for rent in Barcelona finished to be refurbished, decorated and furnished. 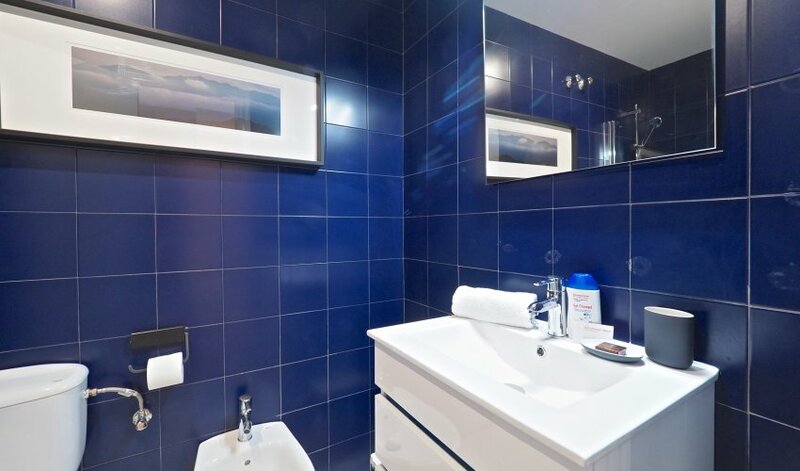 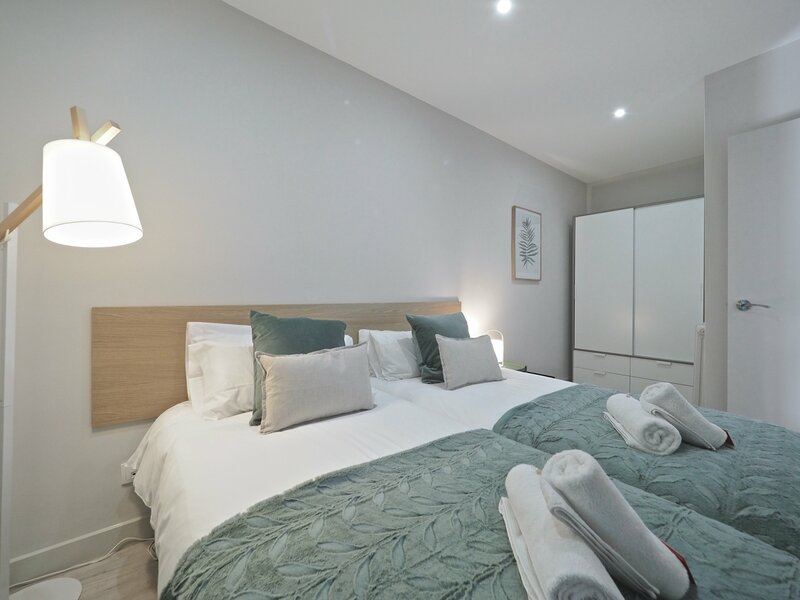 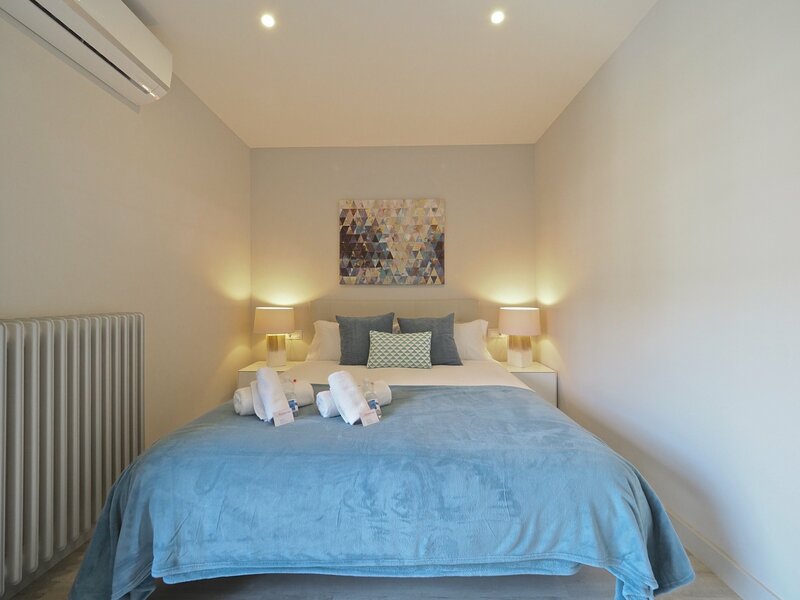 It has a main room with a double bed and a bathroom with shower and a second double room with two single beds. 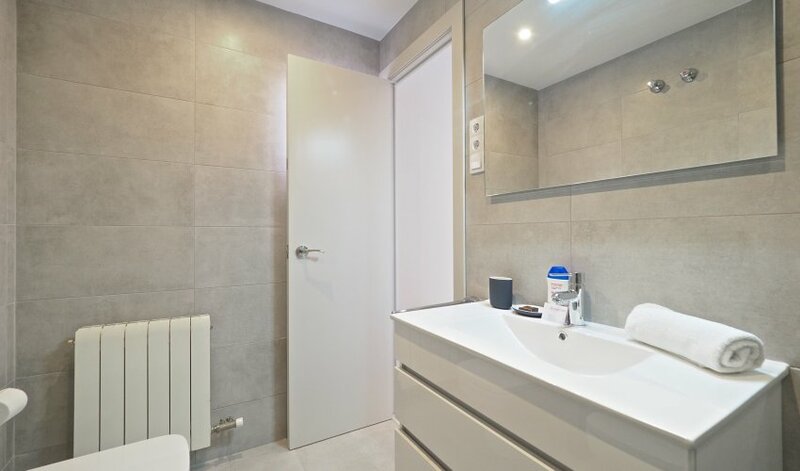 The apartment also has a bathroom with bathtub. 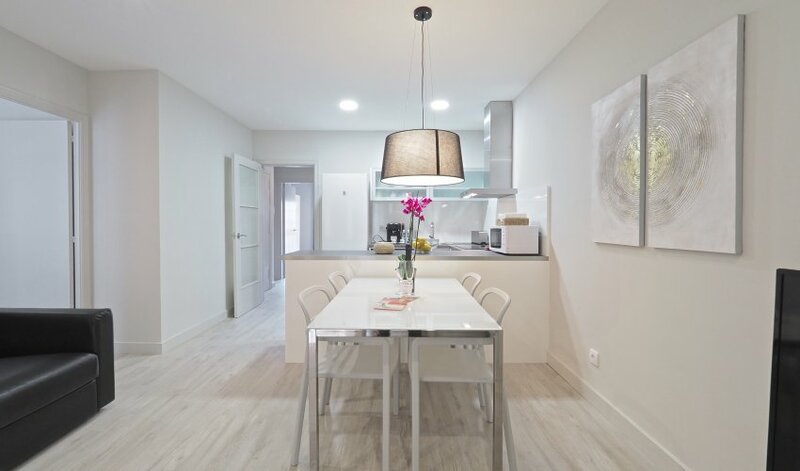 The dining-living room is composed of a sofa and a dining table with four chairs, the kitchen is American type and connects in an open space with the dining room and is fully equipped with, oven, fridge-freezer, washing machine, Ipod port, Nesspresso machine, toaster and iron. 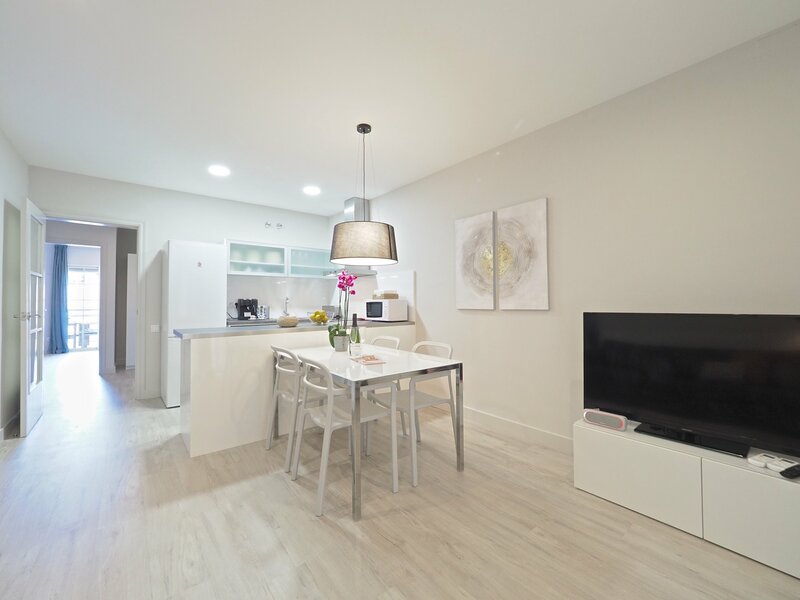 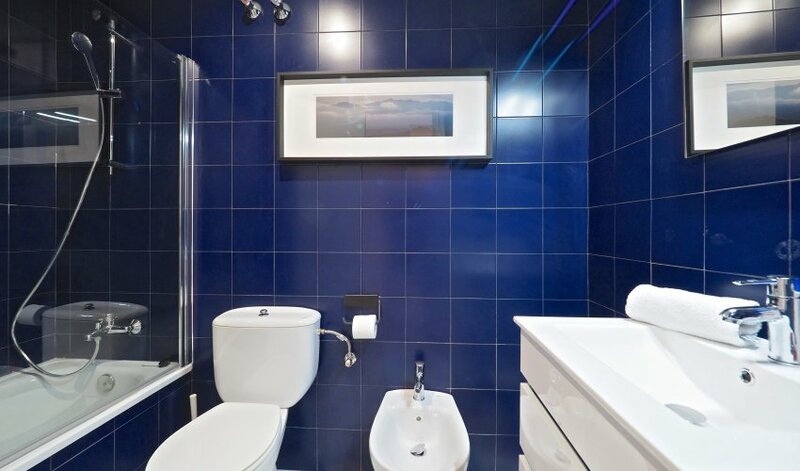 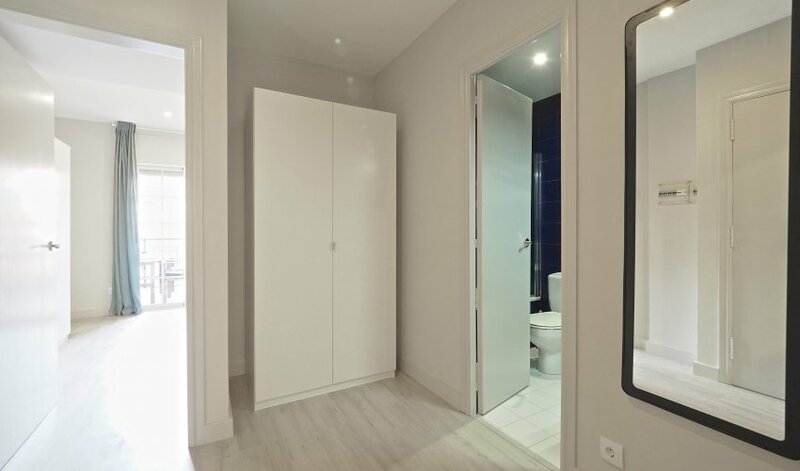 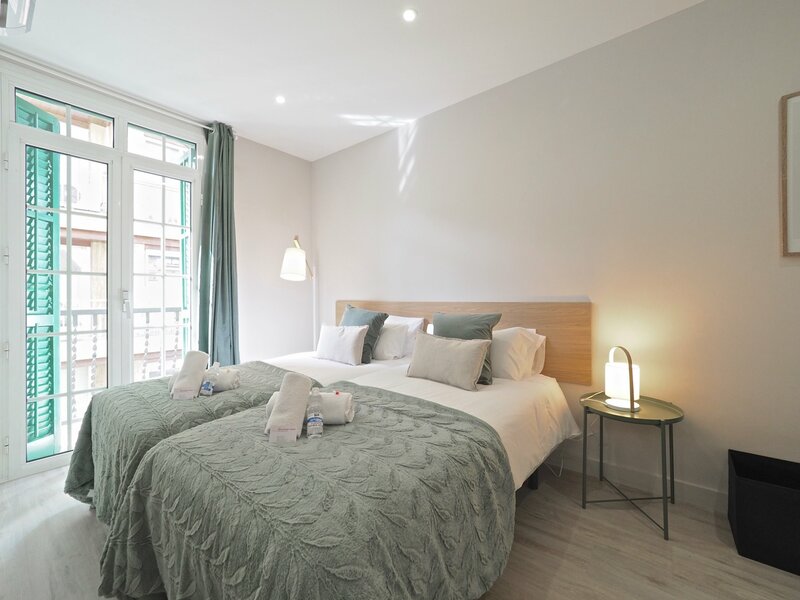 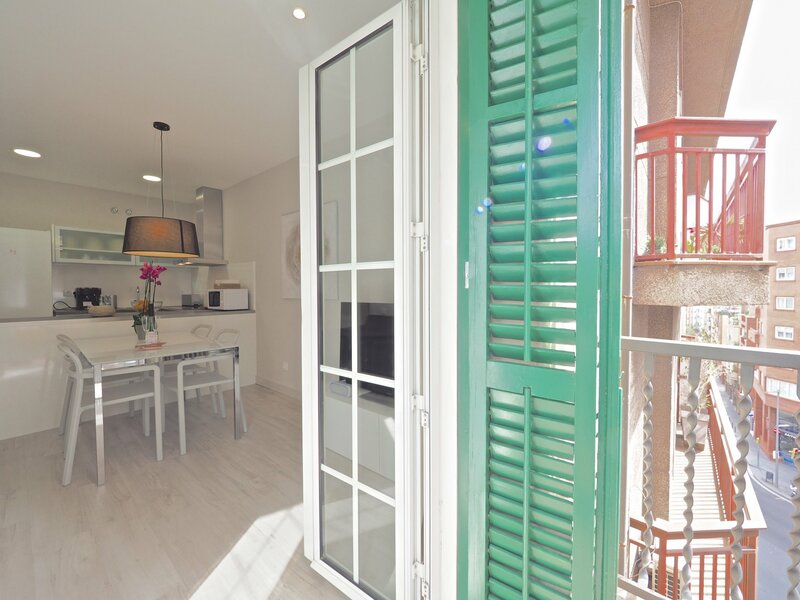 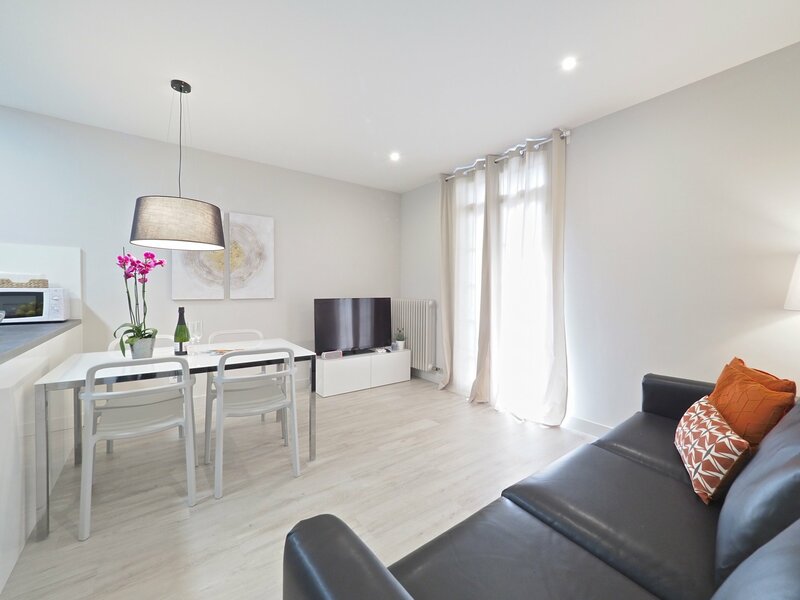 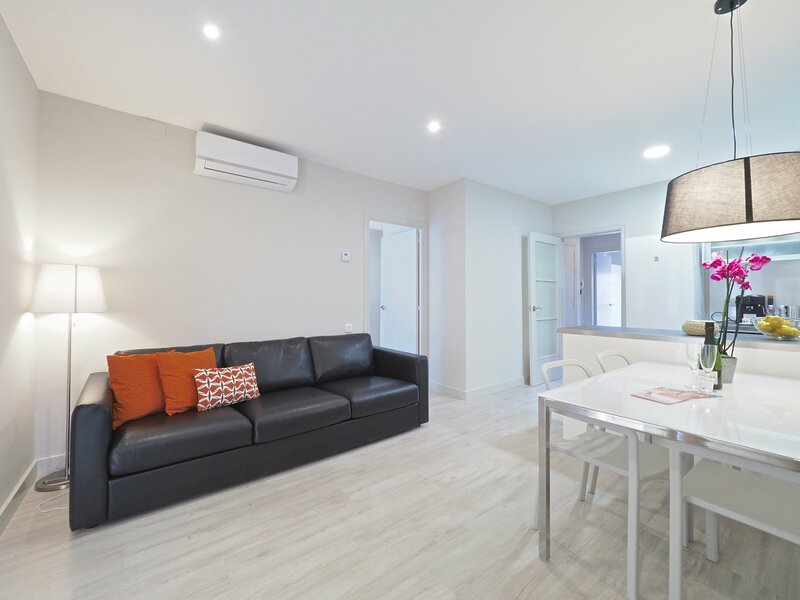 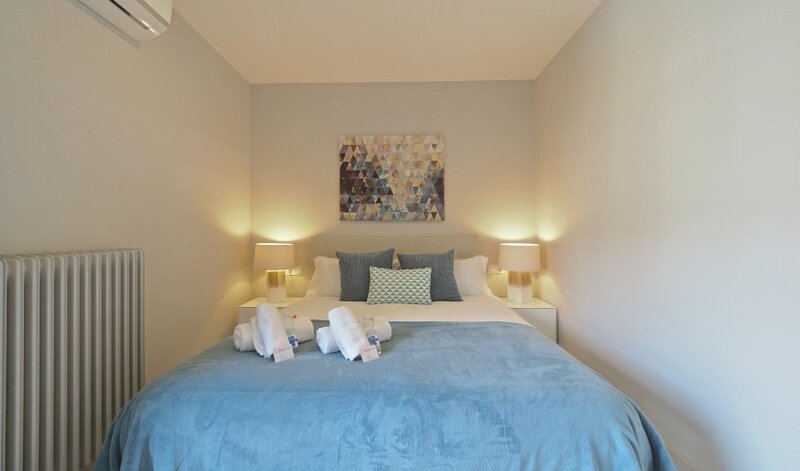 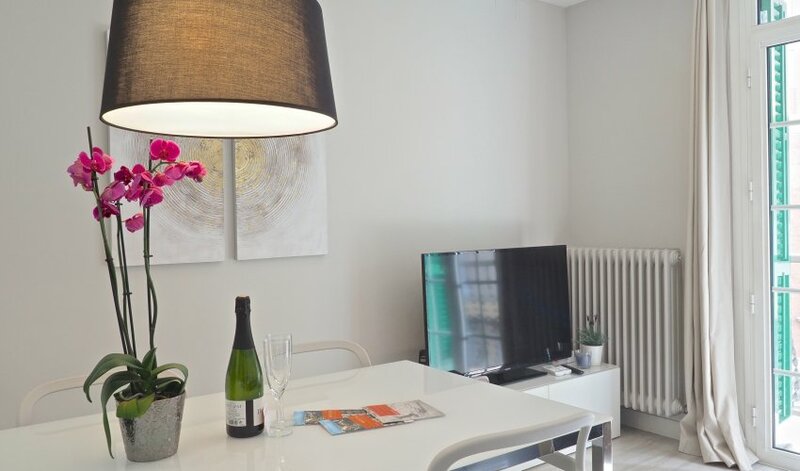 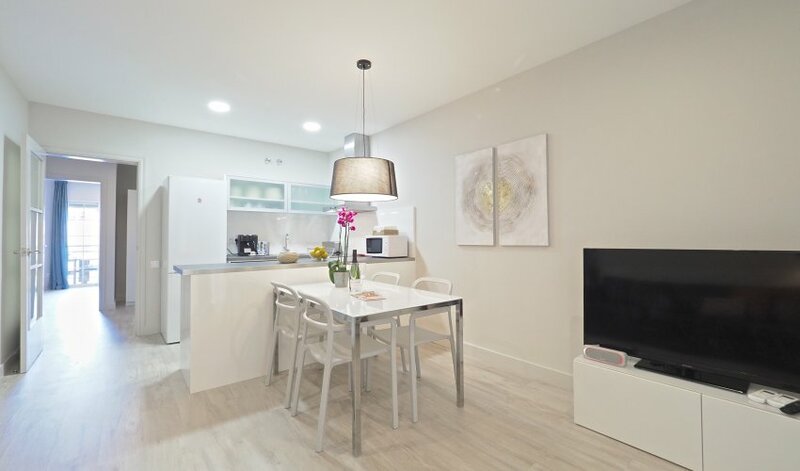 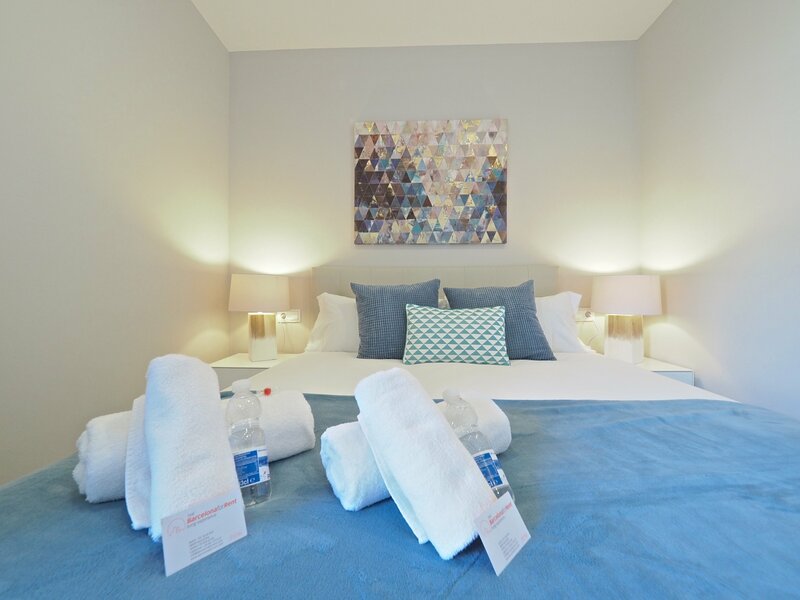 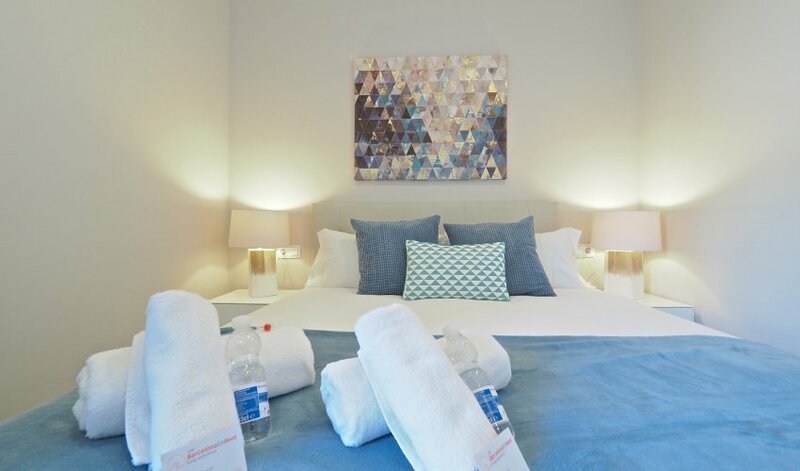 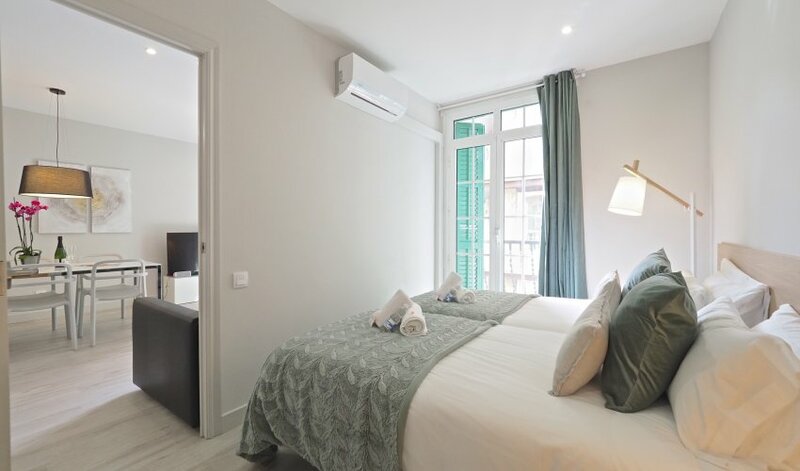 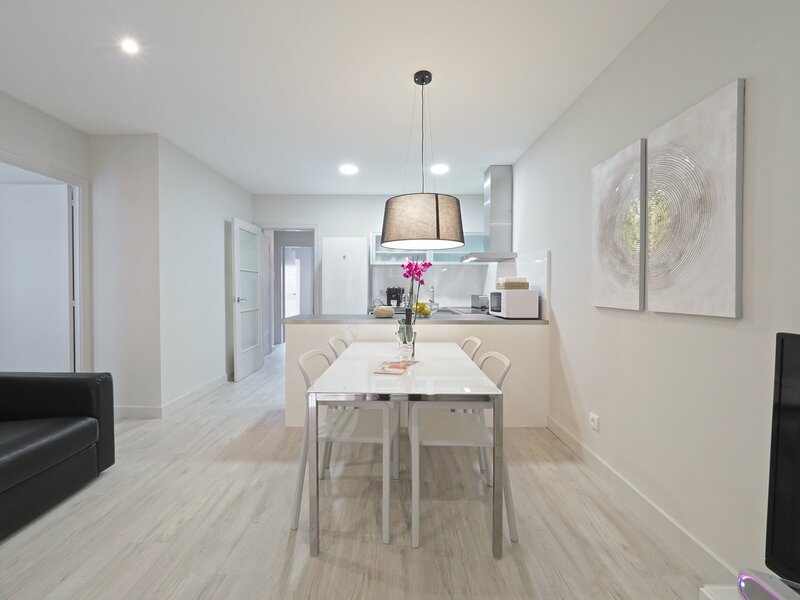 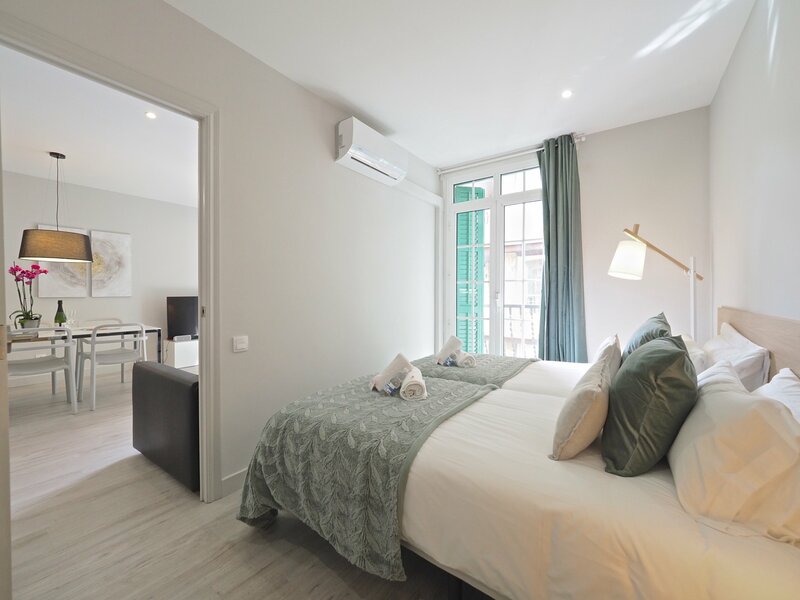 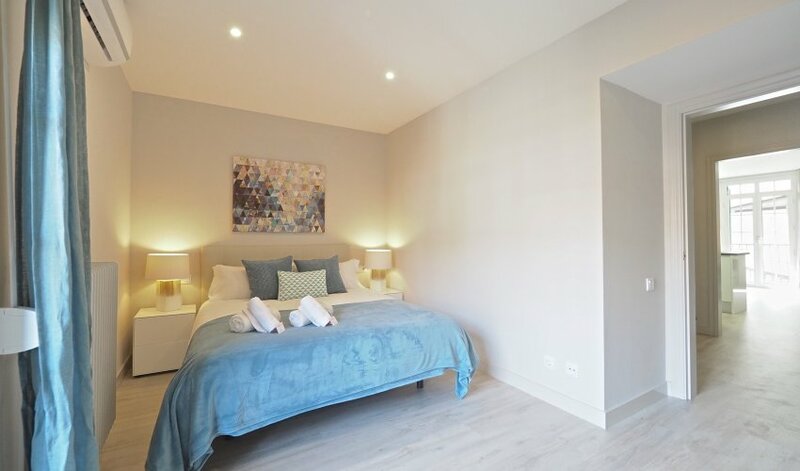 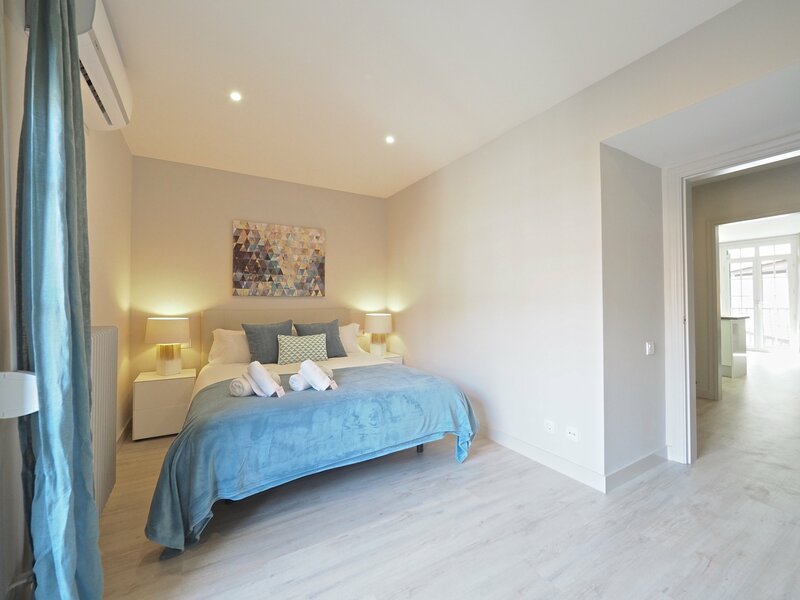 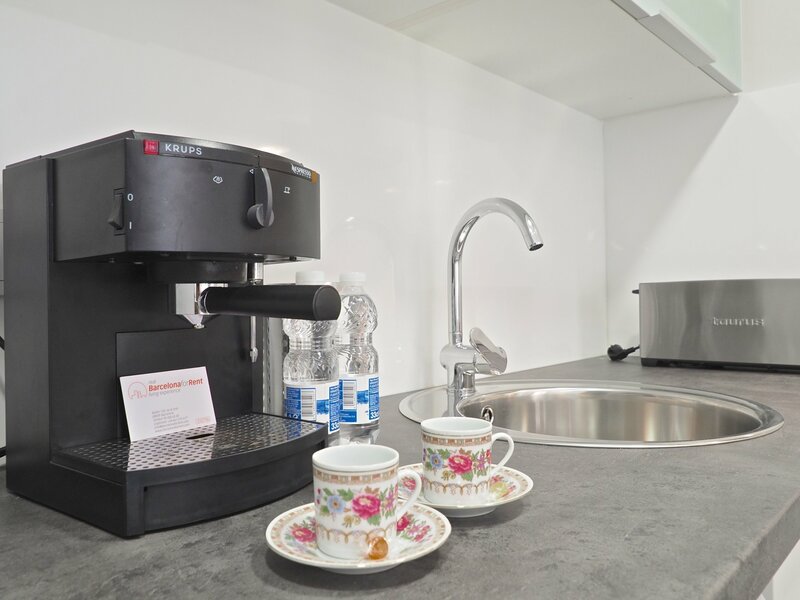 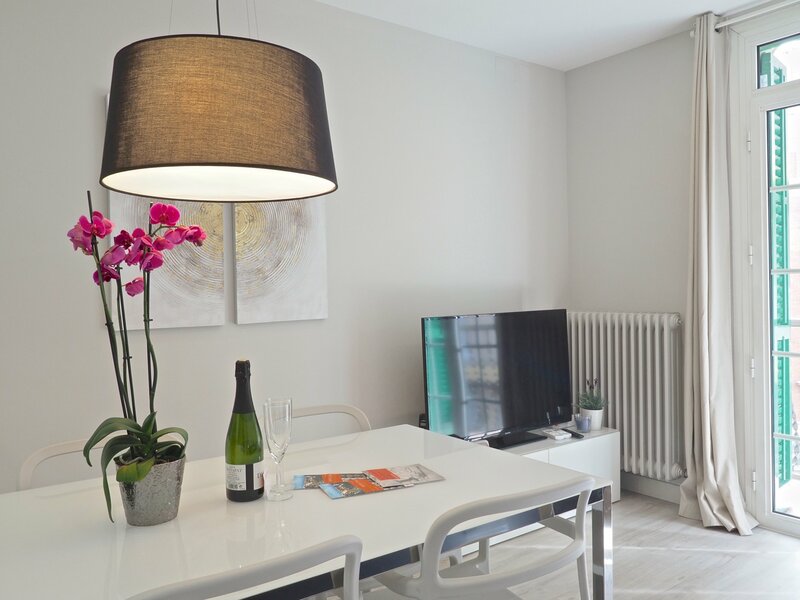 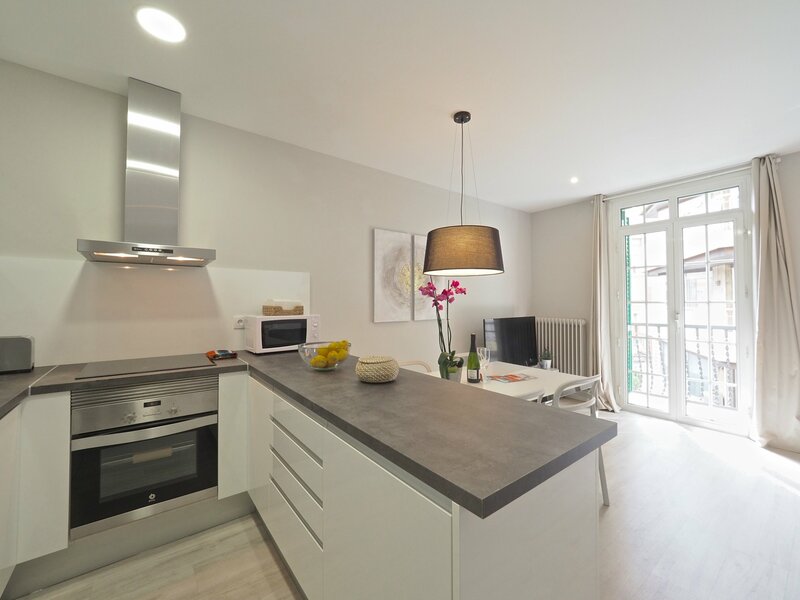 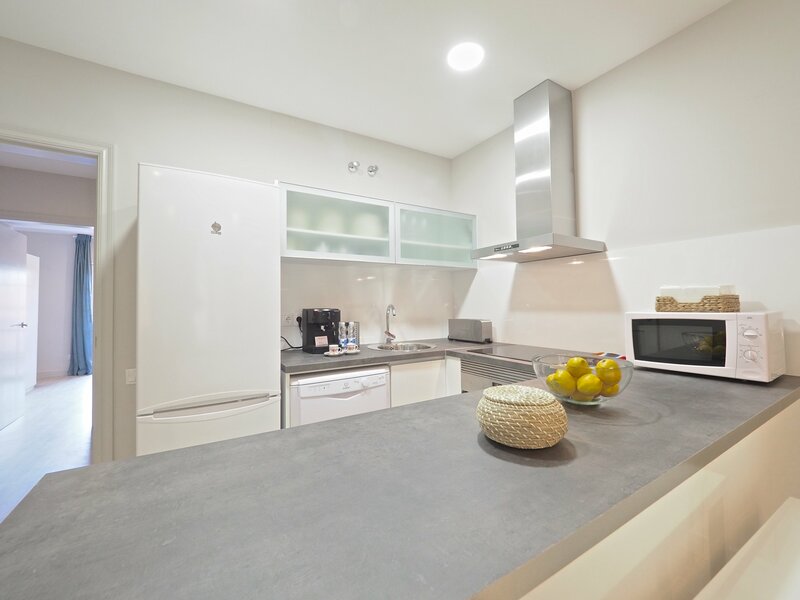 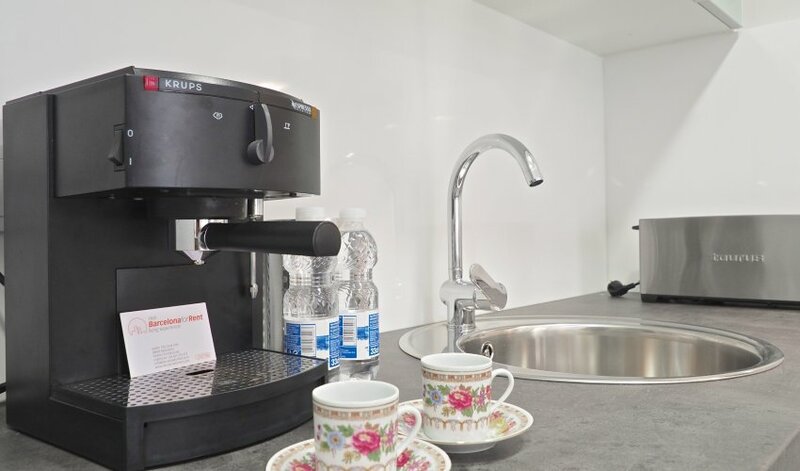 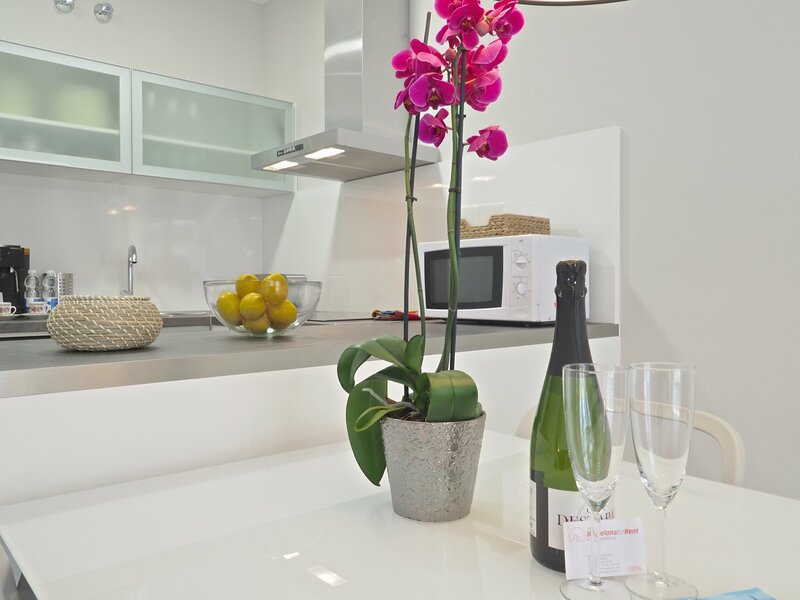 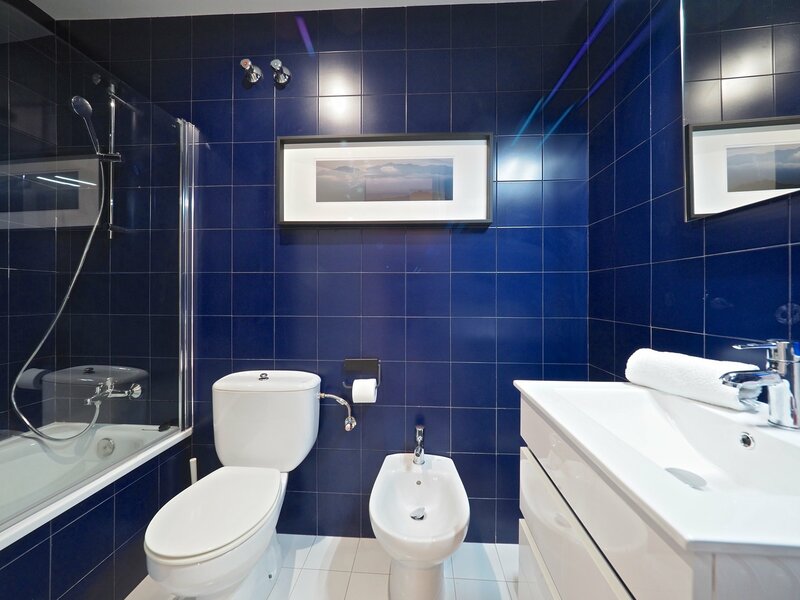 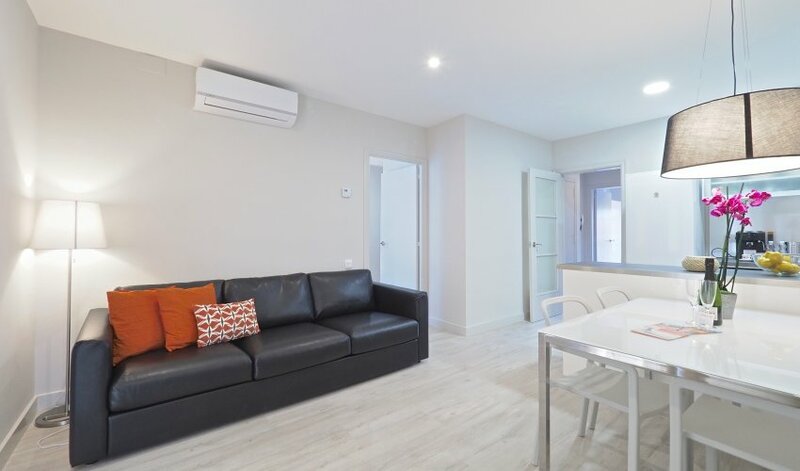 This exclusive tourist apartment in Barcelona is equipped with air conditioning with heat pump and television. 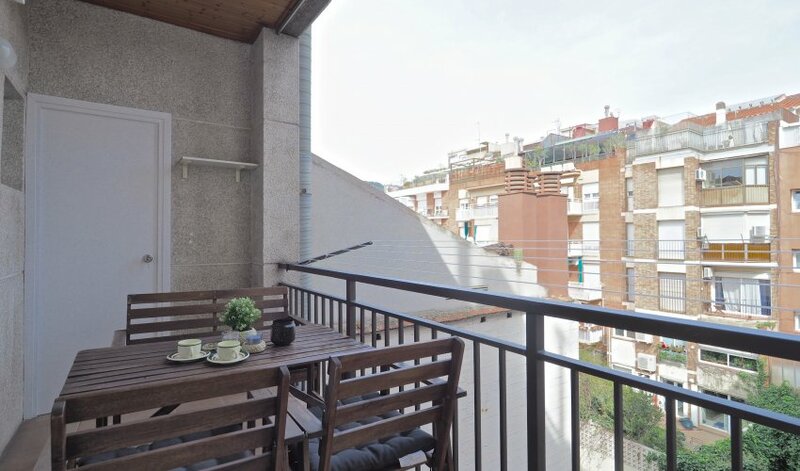 The total area is 80m2 suitable for four people. 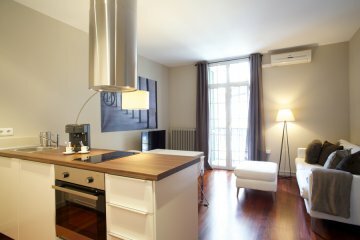 This charming apartment in Barcelona for rent with two rooms is located on the fourth floor of a building with an elevator. 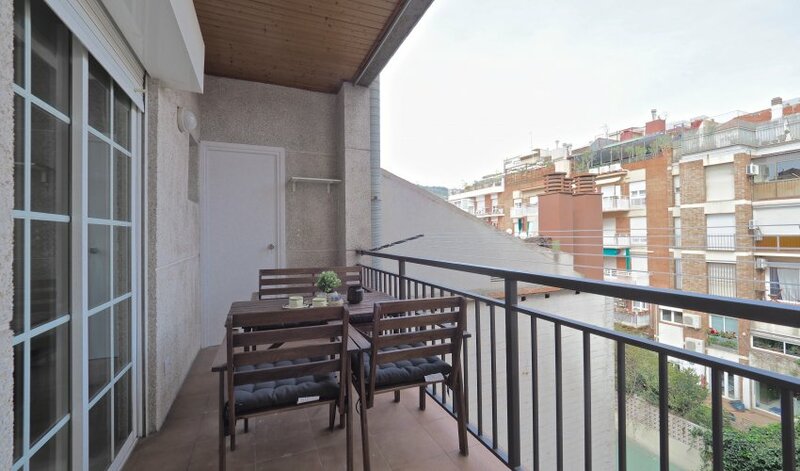 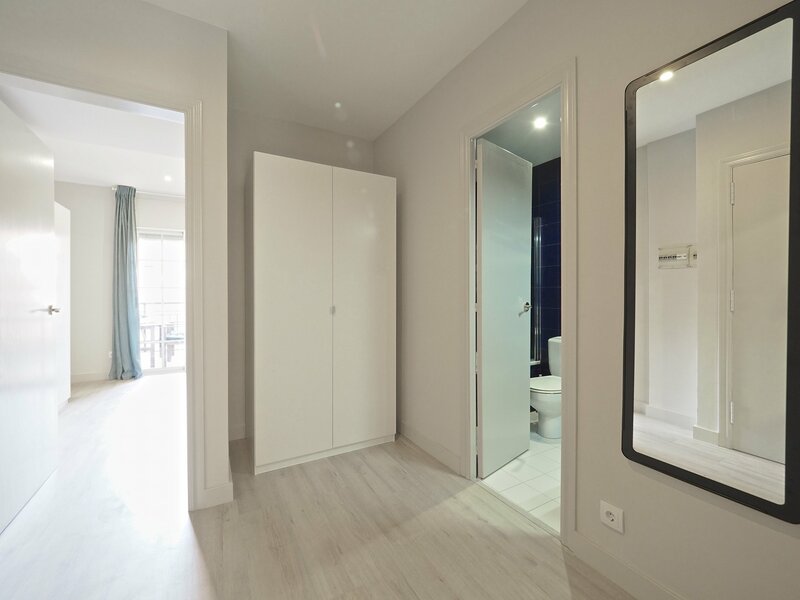 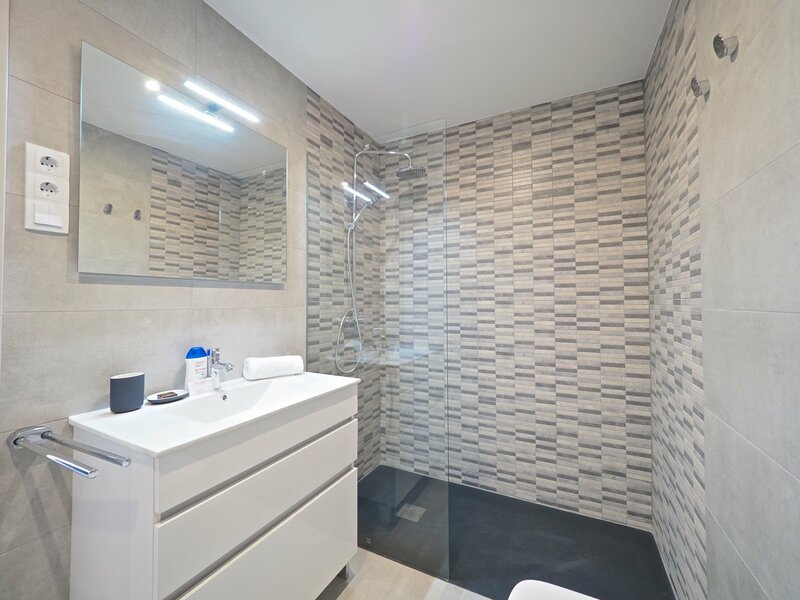 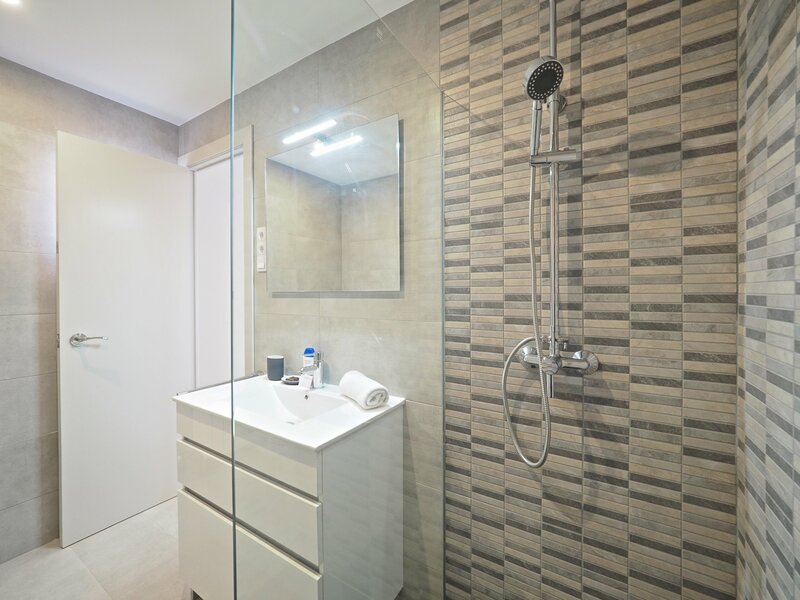 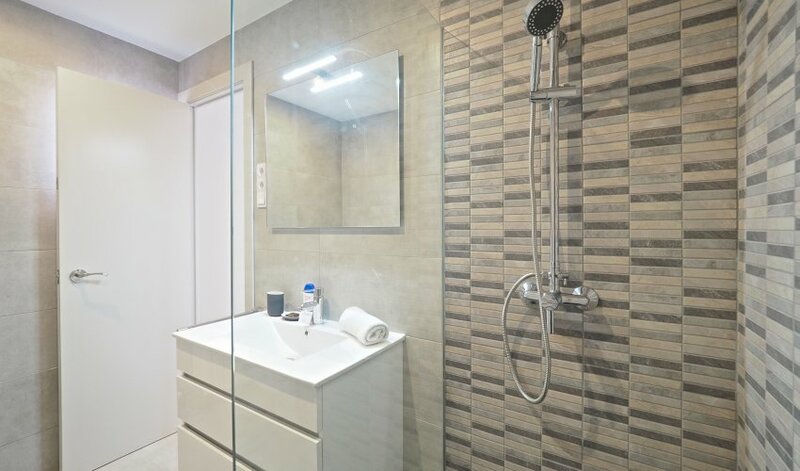 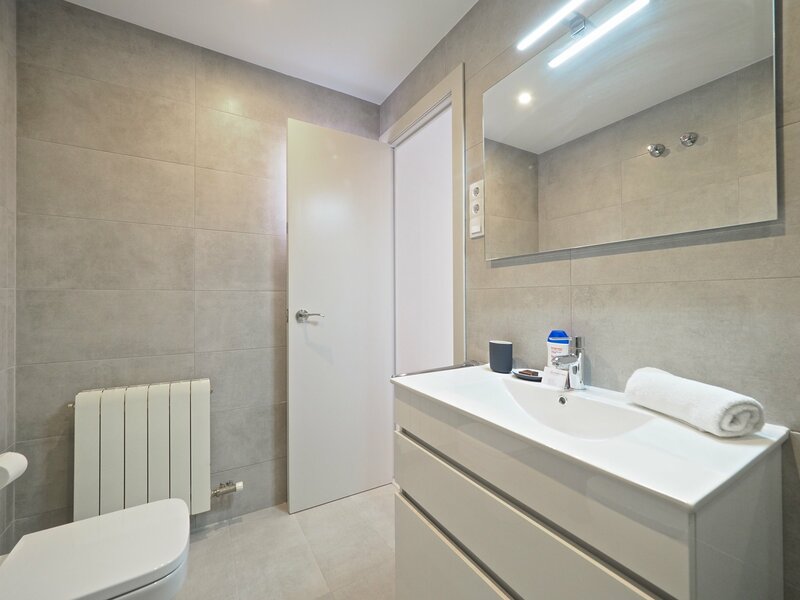 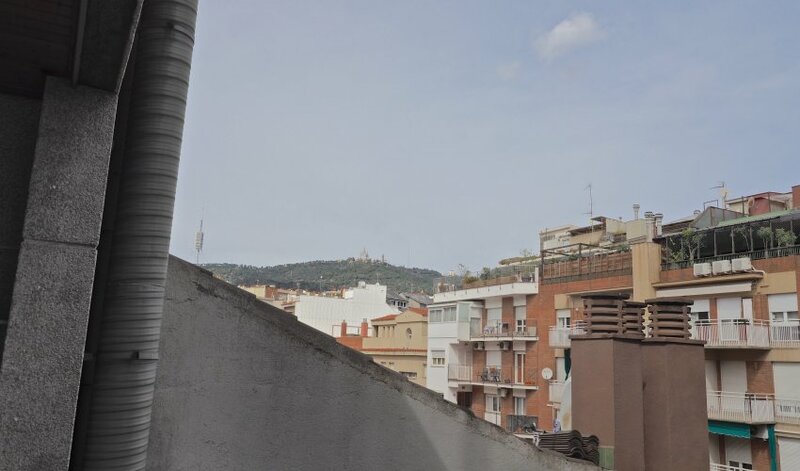 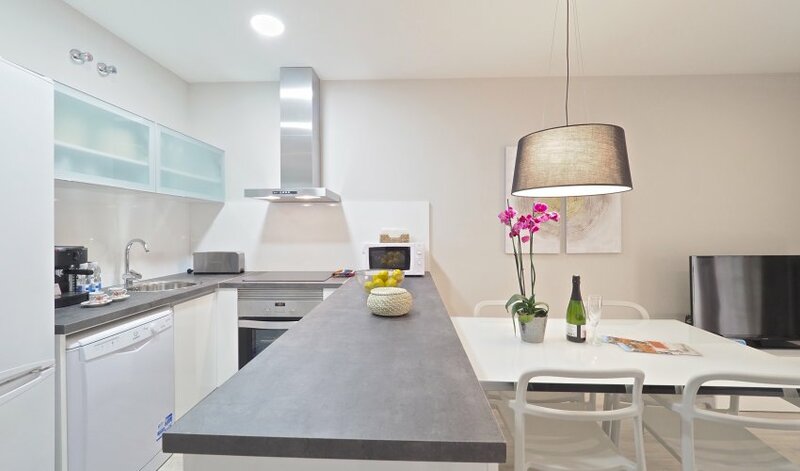 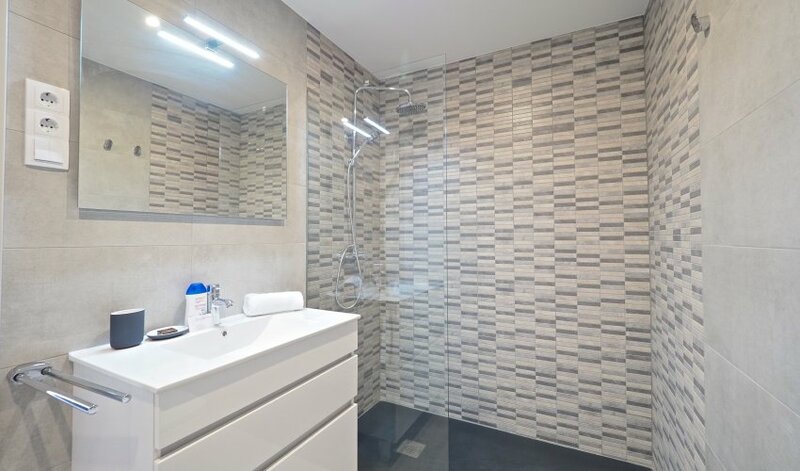 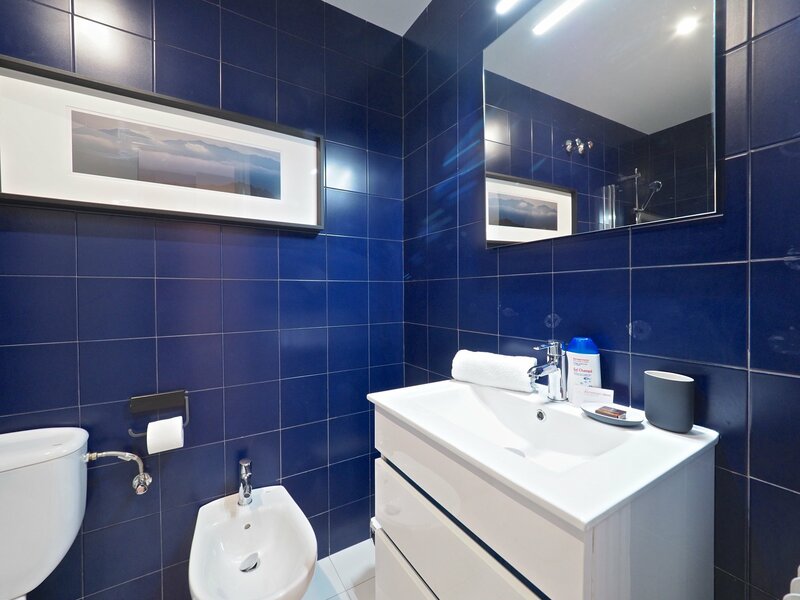 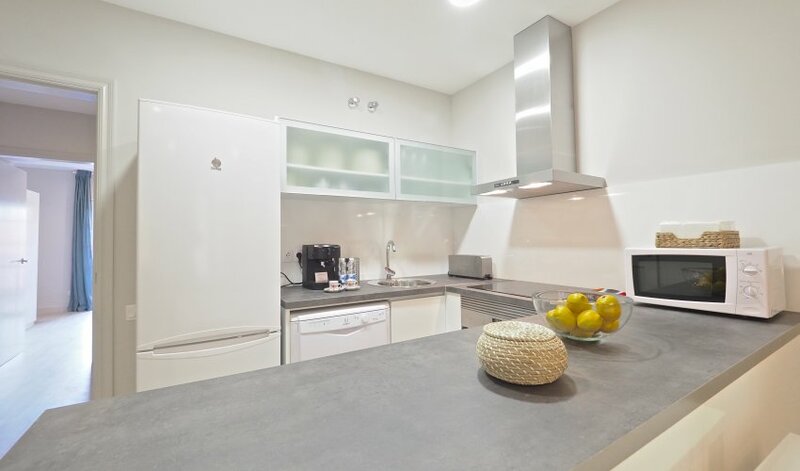 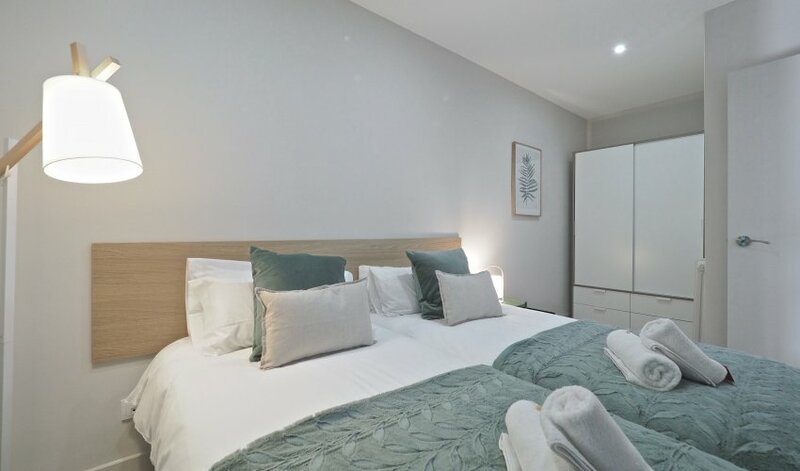 This rental apartment in Barcelona is located in the financial district of Barcelona, ​​in the upper area and 15 minutes from Avenida Diagonal. 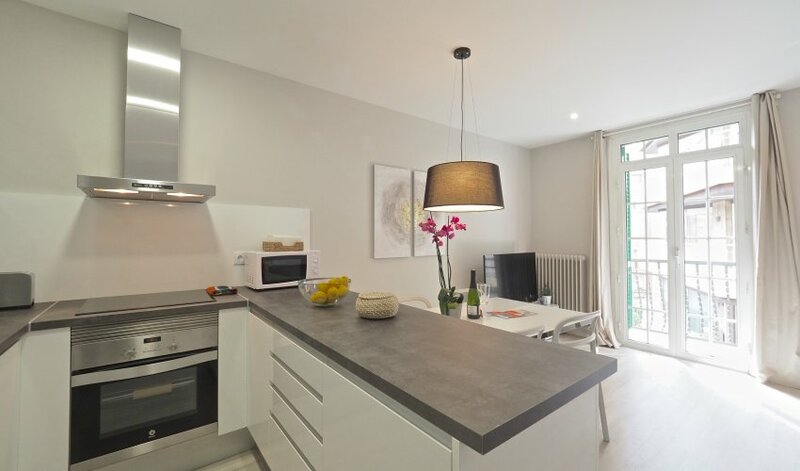 The nearest metro stations are Lesseps (L3) about ten minutes walk from the apartment. 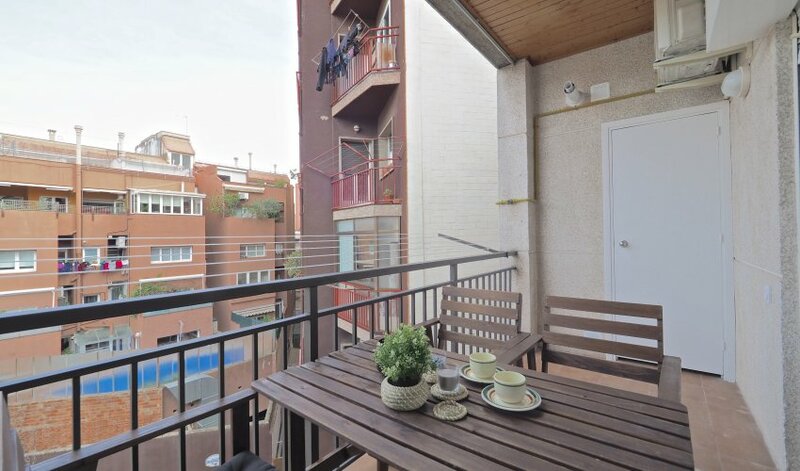 It is 25 minutes by metro or bus from downtown. 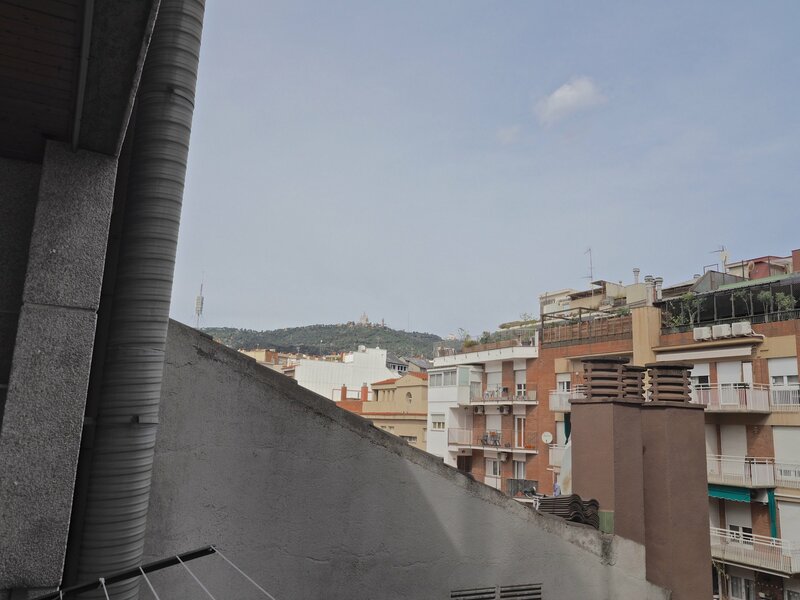 There is also the tram and a large variety of buses to reach any corner of Barcelona.